Obvious fact #1: London rent prices are going up…or are they? Yes, yes. We all know that London is an expensive place to live. However, how much do any of us really know about the specific facts and figures – especially compared to the rest of the country. 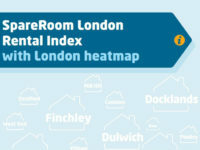 So, now that Spareroom has published it’s quarterly report on the London Rental Index, you can finally tell whether it’s cheaper to choose Charlton or Chingford for your new home, or whether rooms in east or west London are more in demand. If you can bear to look, that is. So, what are some of the most interesting facts from the report? 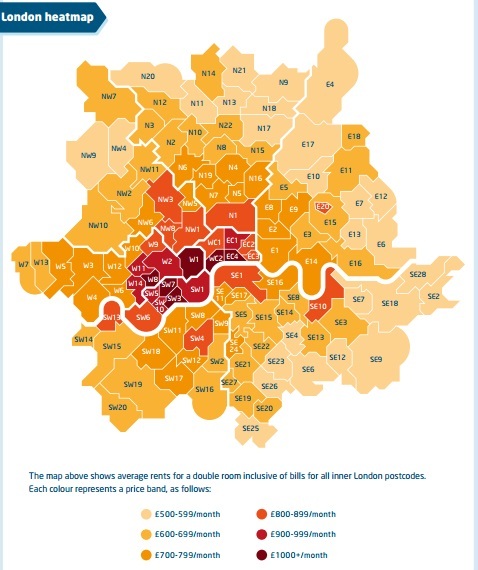 Well for a start, London rental prices aren’t increasing as much as you would believe. Especially when looking at your bank account every month. Compared to the rest of the UK (where prices have risen by 4%), prices in London have risen by just 1%, compared to an 8% rise this time last year. In fact, some of the prices have fallen: in NW postcodes, rent has dropped by 4%, whilst in WC and EC have dropped by 2%. There were a few other surprising facts in the report. For example, in Abbey Wood, which will receive Crossrail services in 2018, prices have been raised by a whopping 21% since last year. However in general, the area of London with the majority of increases in rent was the south-west: Barnes (20%), Tooting (14%), Mortlake (14%) and Chelsea (10%) all came within the top ten districts for rent raises. So, if you are looking to move in the next few months, or just fancy comparing where you live with your mates, give the report a read!